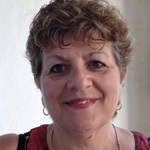 This Independent Tour is designed for travelers who enjoy adventure and discovery. 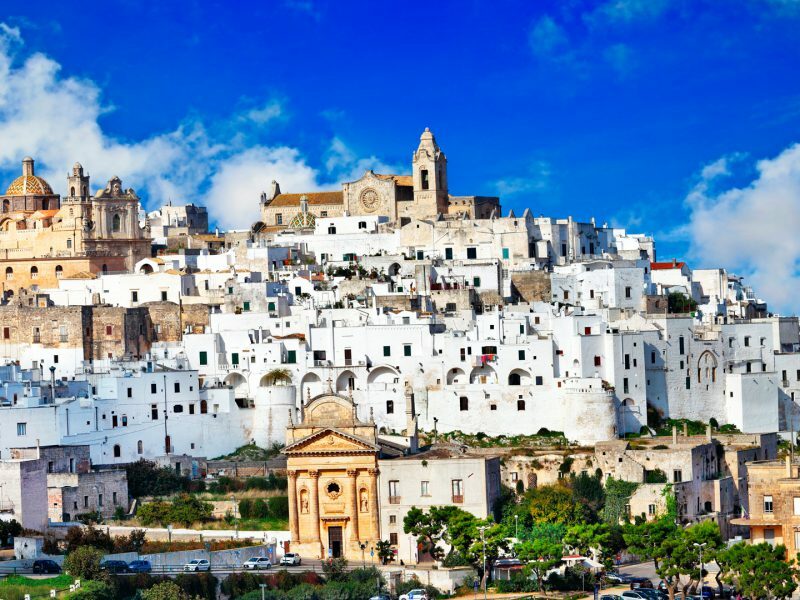 These two regions offer a mix of sea and countryside perfect for travelers who wish to explore a truly distinctive part of Italy. Unique history, culture, and culinary delights abound in the heel of the peninsula. 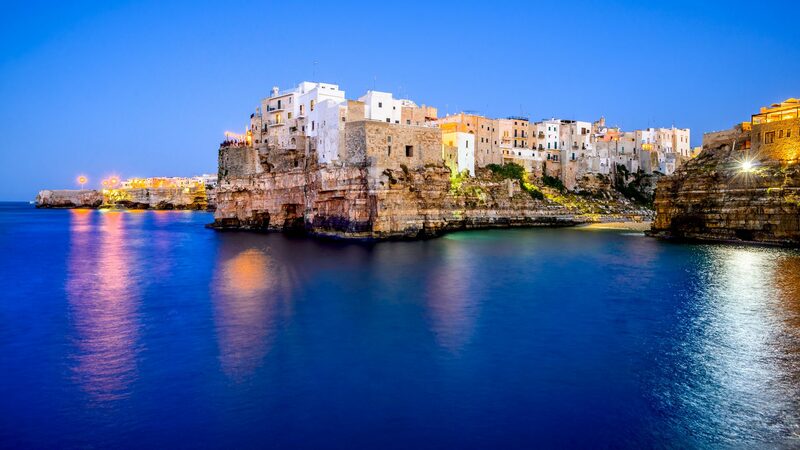 Arrive in the coastal city of Bari and enjoy this port city. 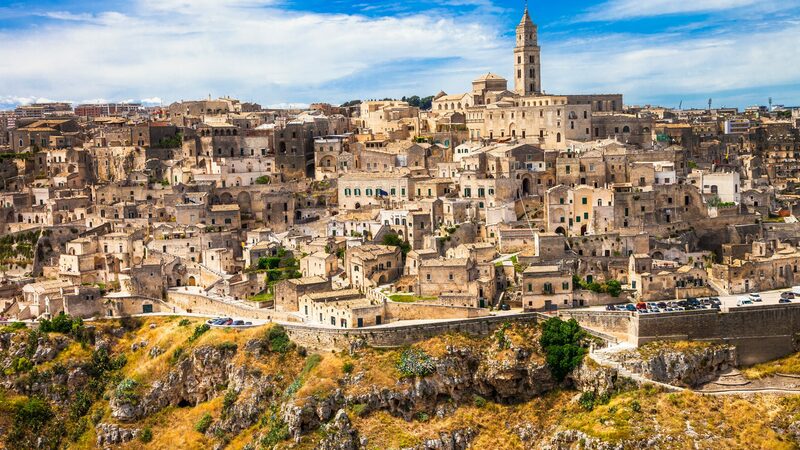 On your second day proceed to the ancient city of the Matera once known as Sassi or Stones. 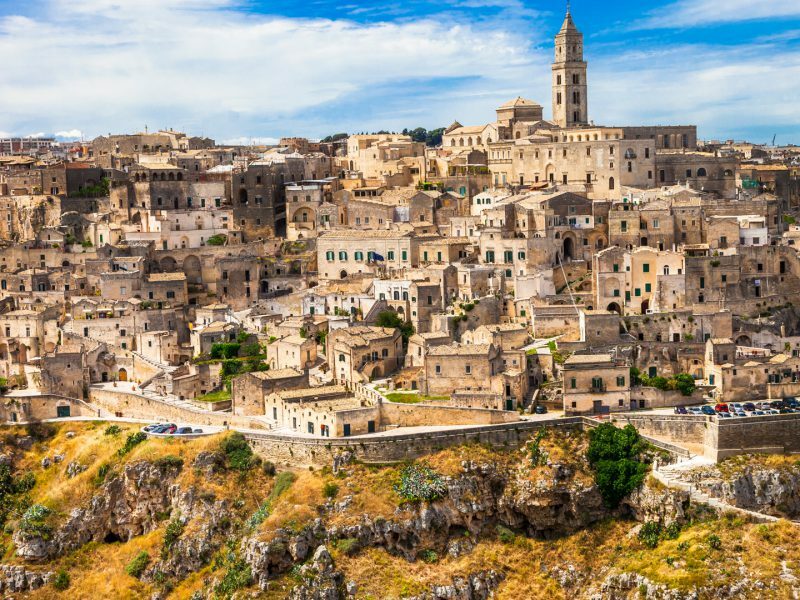 Matera was deemed a UNESCO World Heritage site and was a featured backdrop for the Mel Gibson film Passion of the Christ. 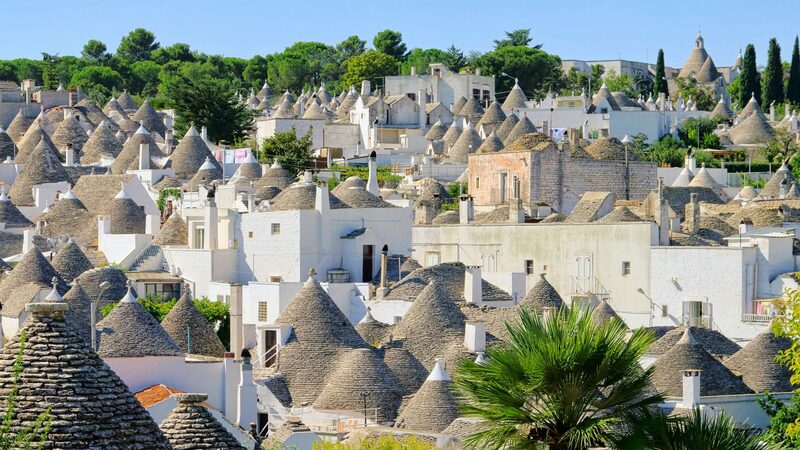 Continue the tour into the historical agricultural fields of Puglia where the olive trees are over a century old and indulge in the flavors. 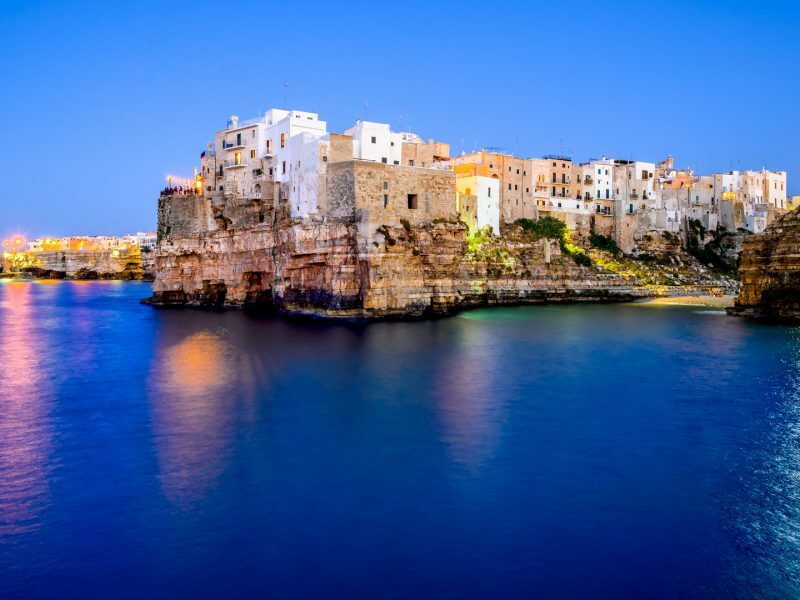 Enjoy the sandy beaches of the Ionian Sea which are a contrast to the rugged coast of the Adriatic and spend time in the town of Santa Maria di Leuca where both seas collide! 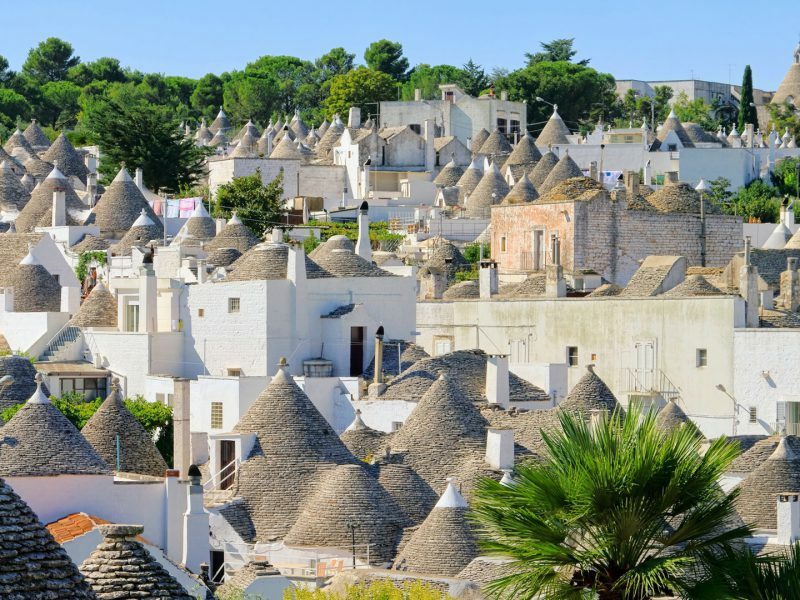 Discover the deep caverns of the Grotte di Castellana, the unique conical houses known as Trulli in Alberobello, and shopping the quaint boutiques in Monopoli. 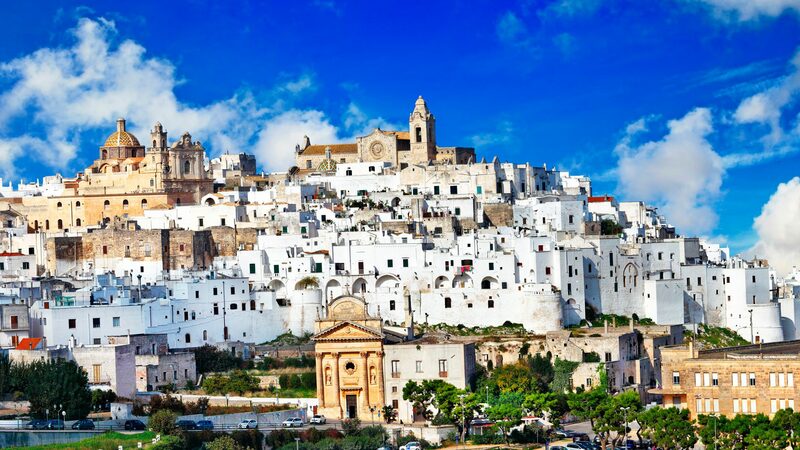 Private Transfer to Central Bari Hotel and explore Bari at leisure. Dinosaur Caves in Pontrelli. This is one of the richest fossil deposits in the world dating back to the Cretaceous period (about 70 million years old).